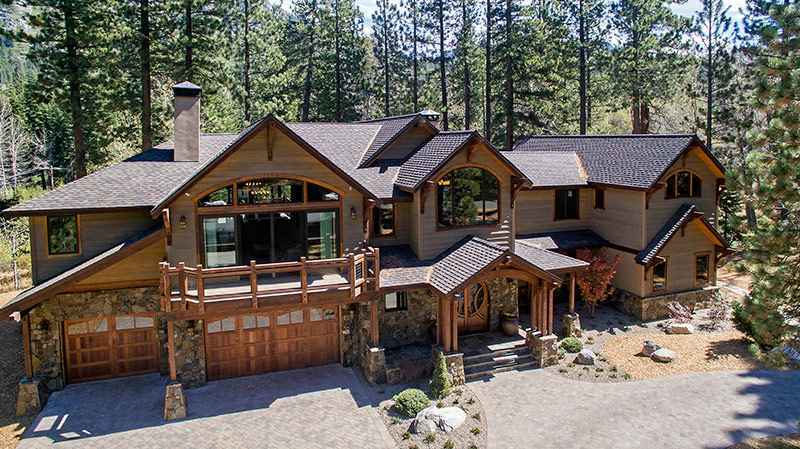 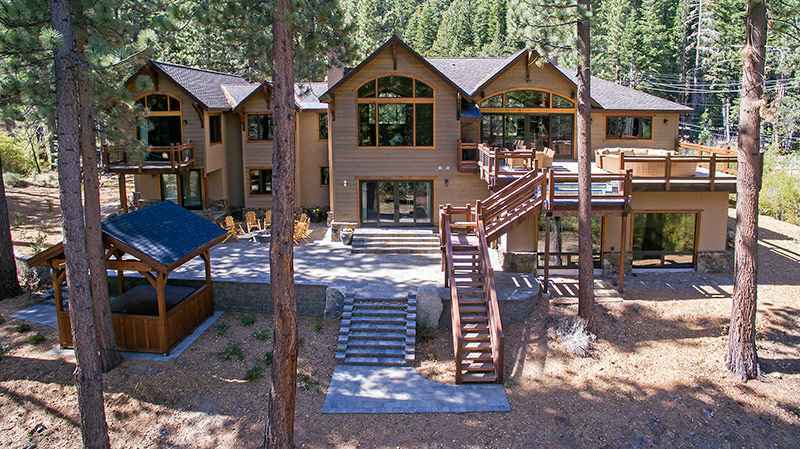 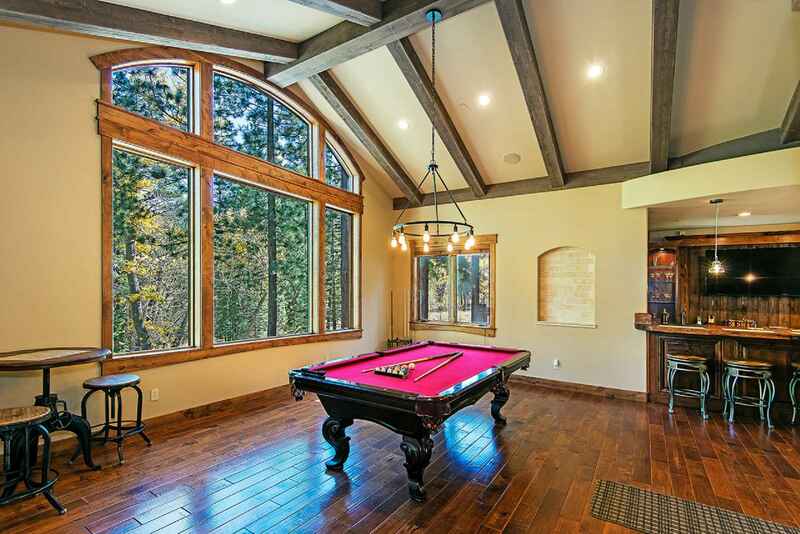 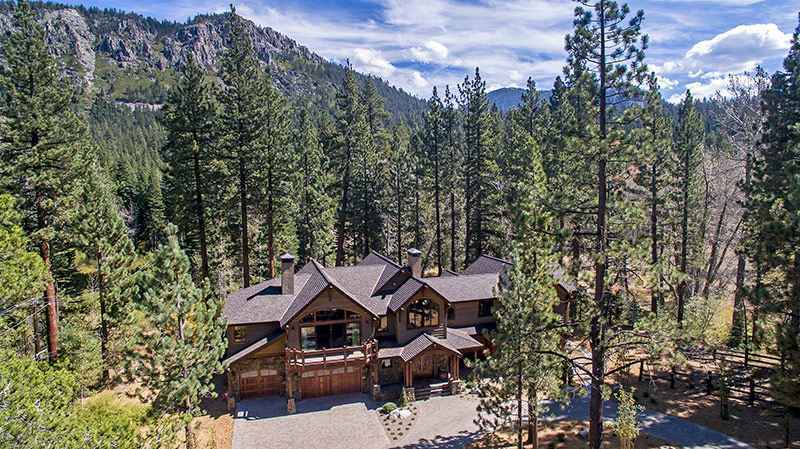 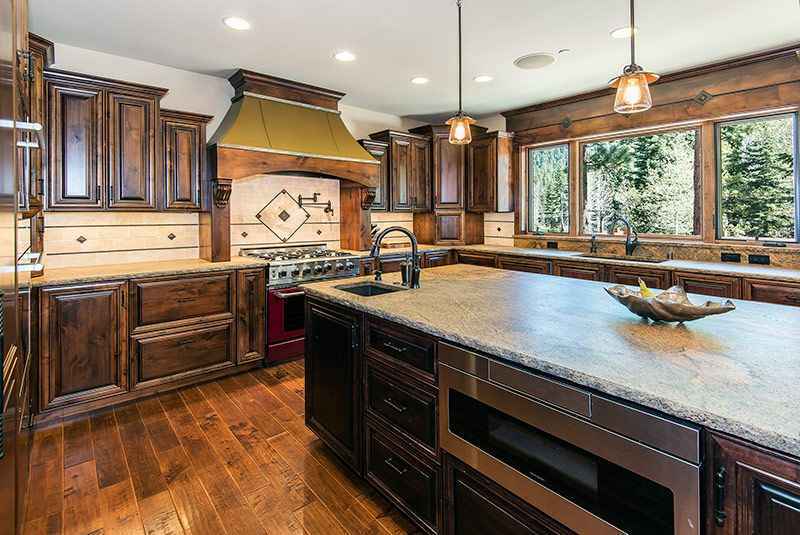 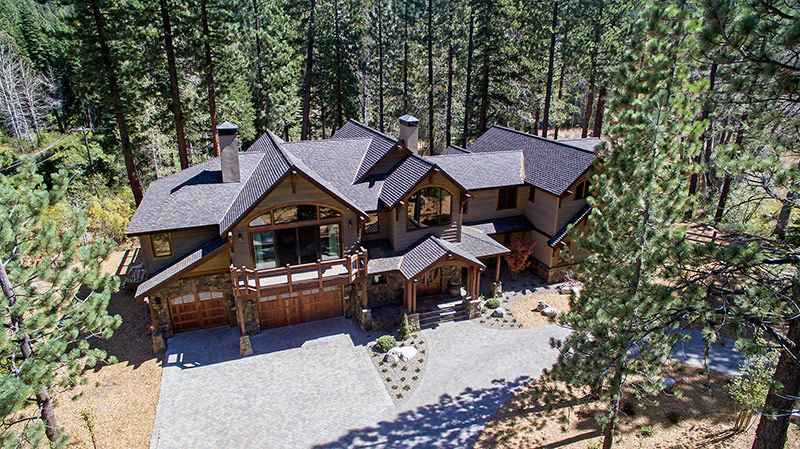 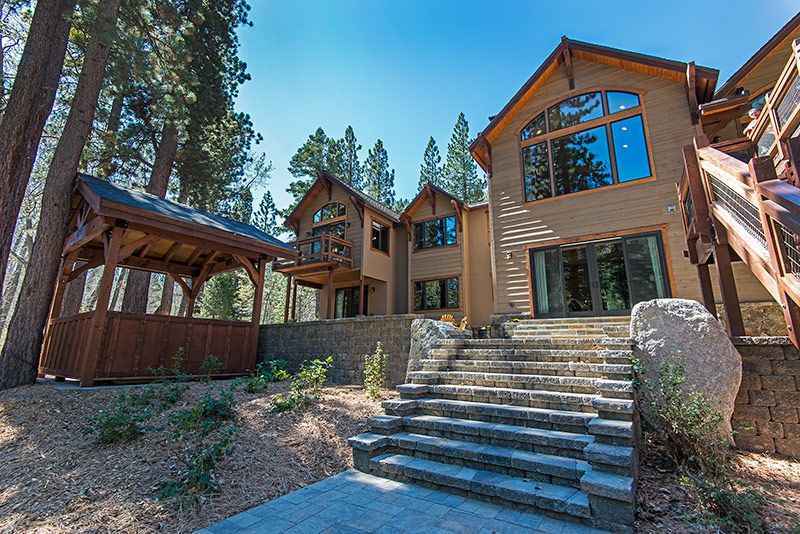 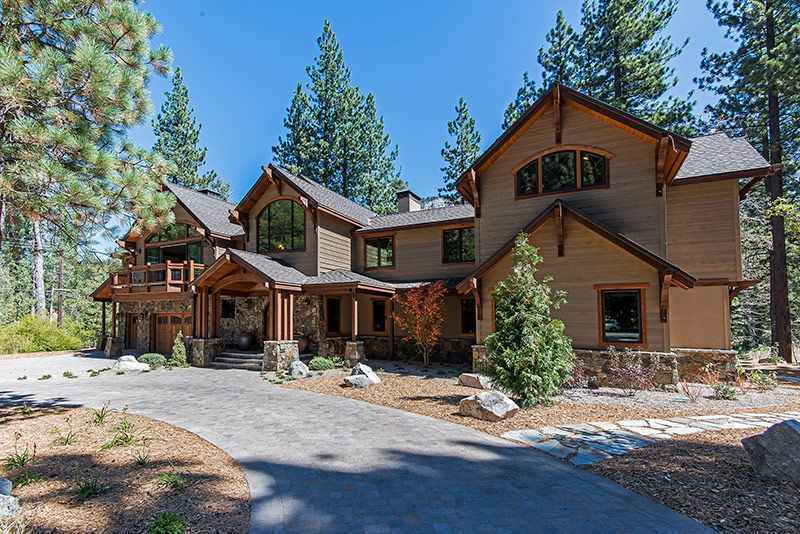 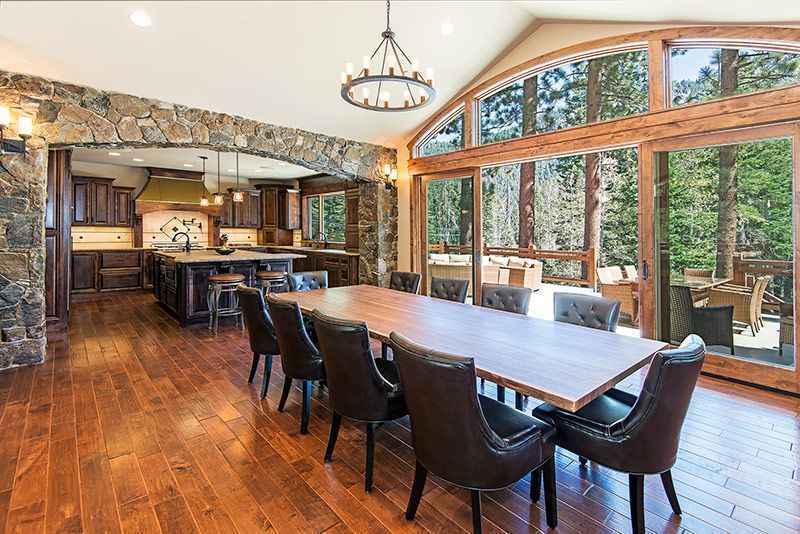 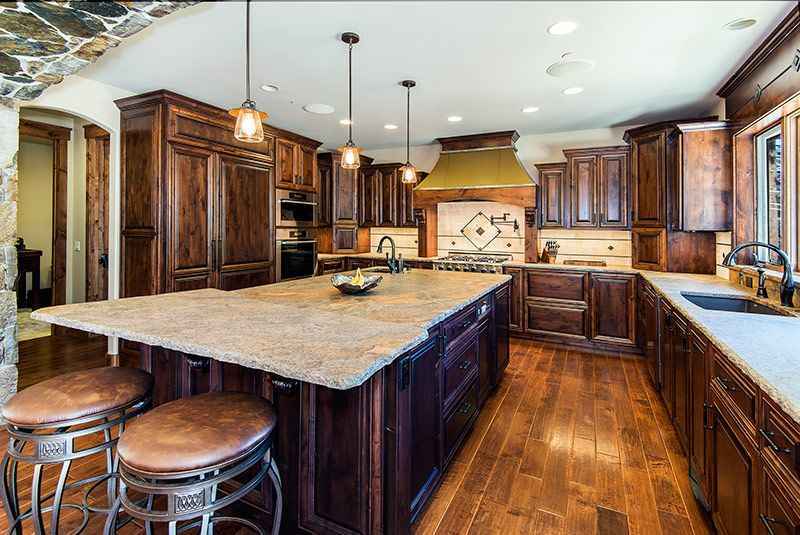 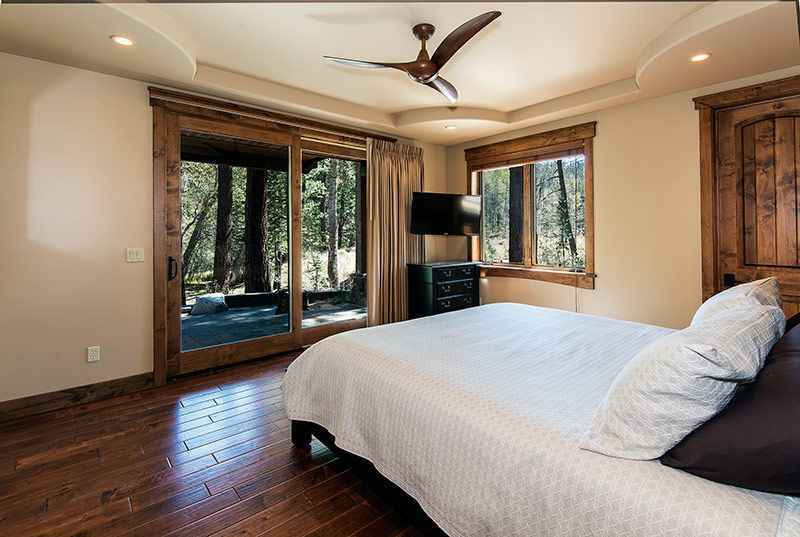 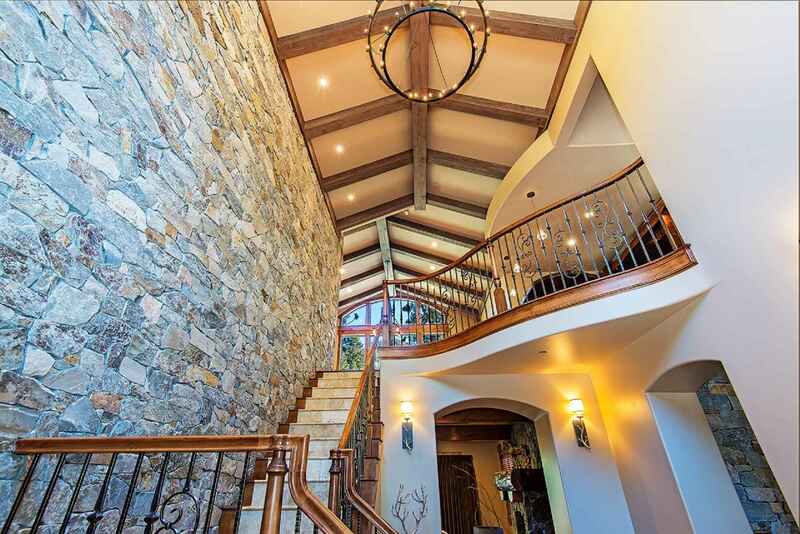 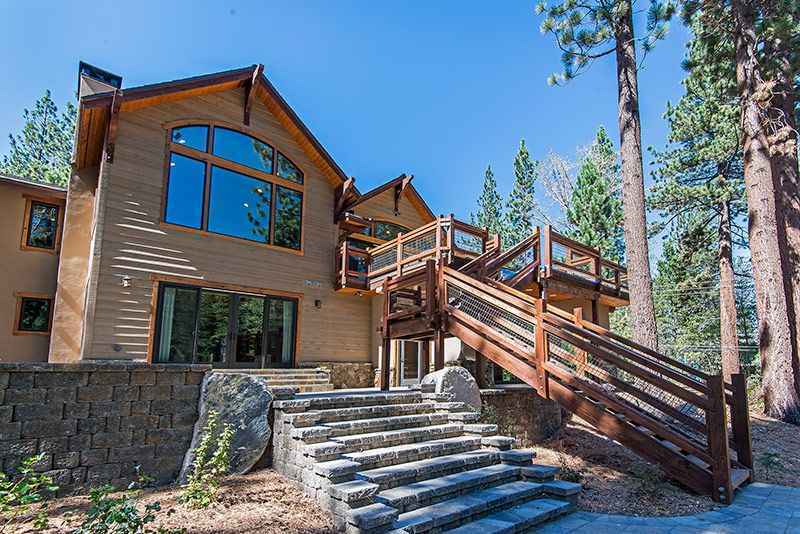 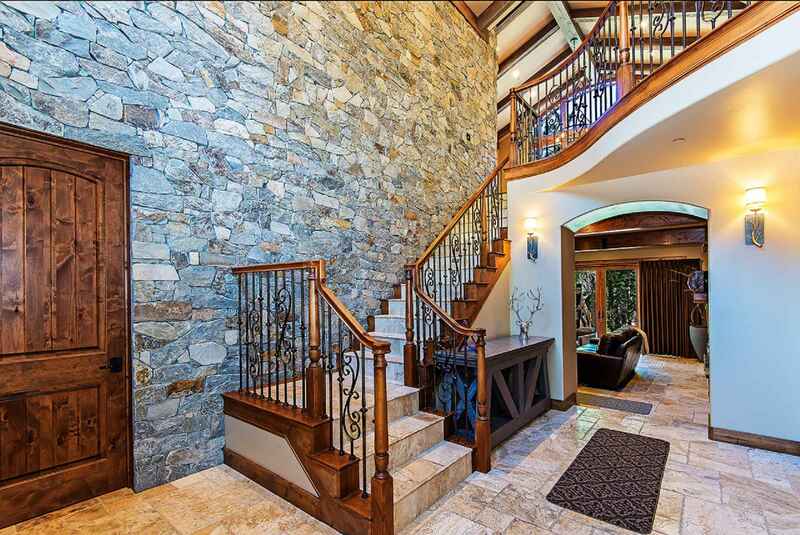 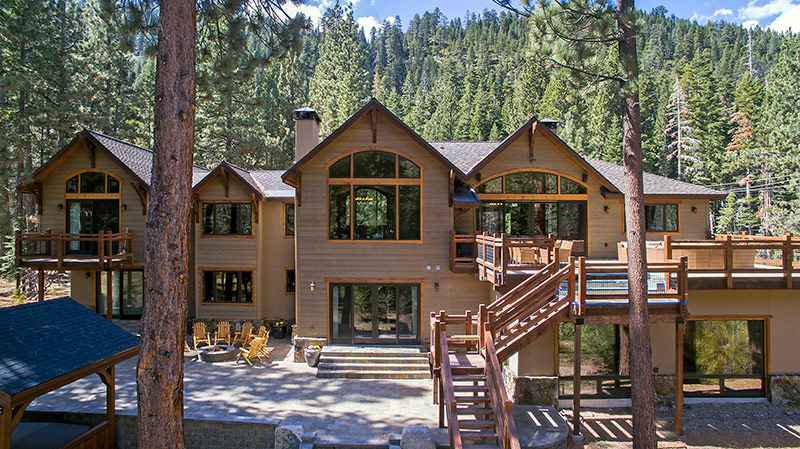 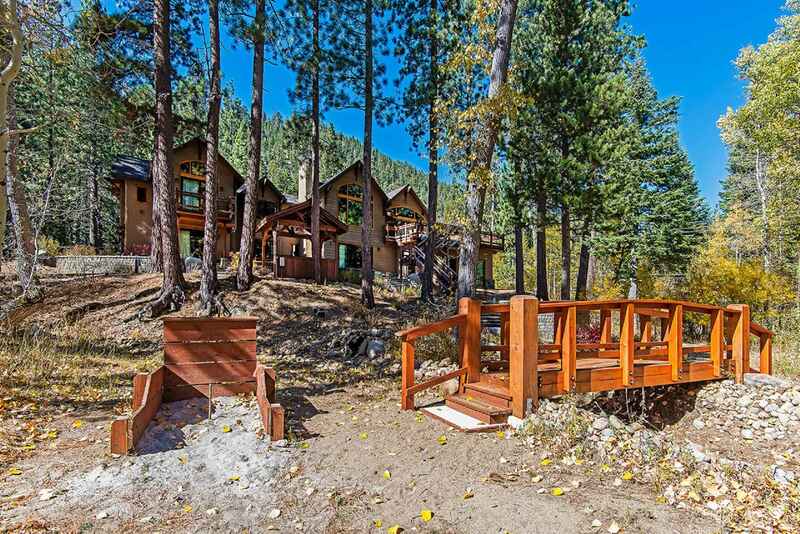 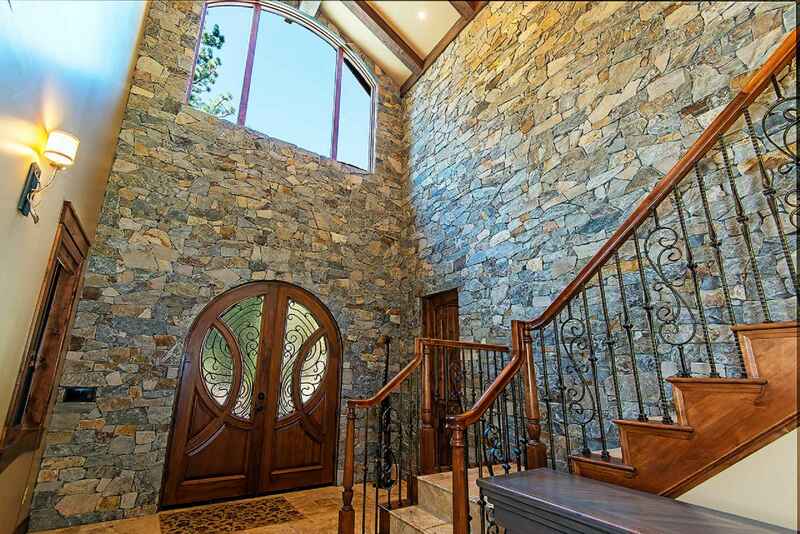 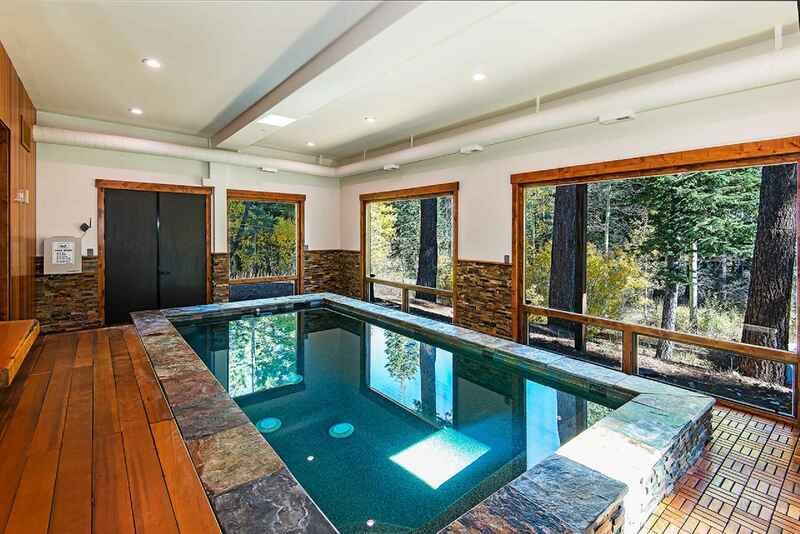 This Mountain Luxury Estate has been meticulously designed with every detail thought out. 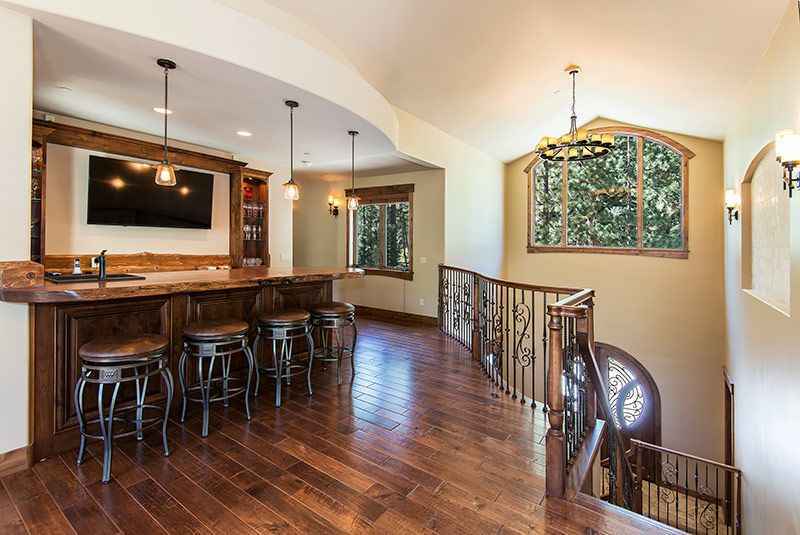 High end furniture all throughout the house. 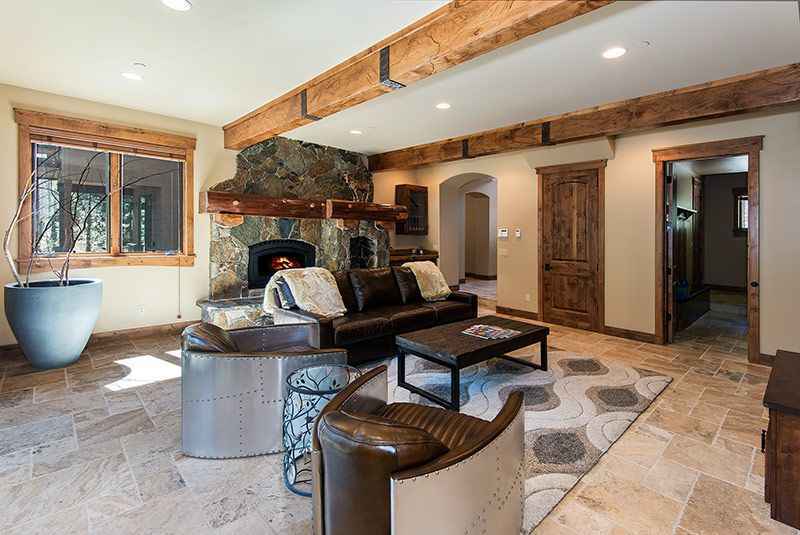 30 foot ceilings provide a striking entry way that takes you into the family room with Restoration Hardware seating and sofa in front of a large Flat Screen TV and rock fireplace. 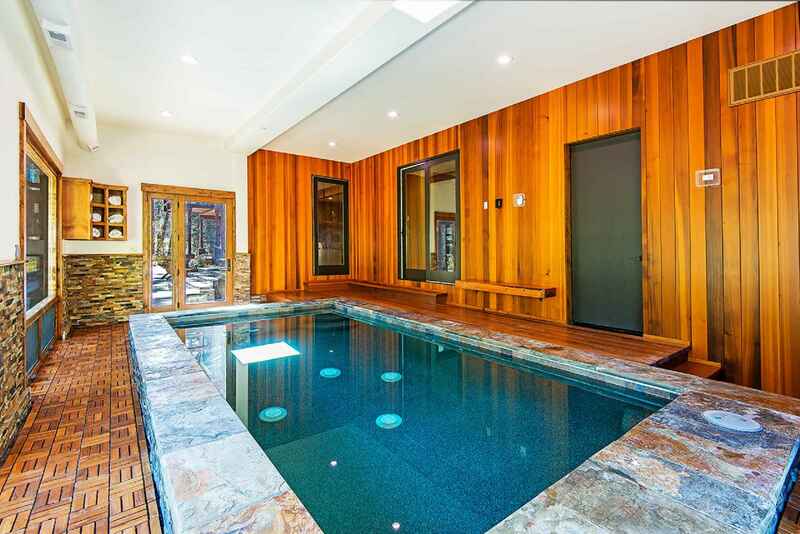 The family room rolls into the Indoor Pool room and opens up to a huge patio with a Firepit surrounded by Adirondack chairs. 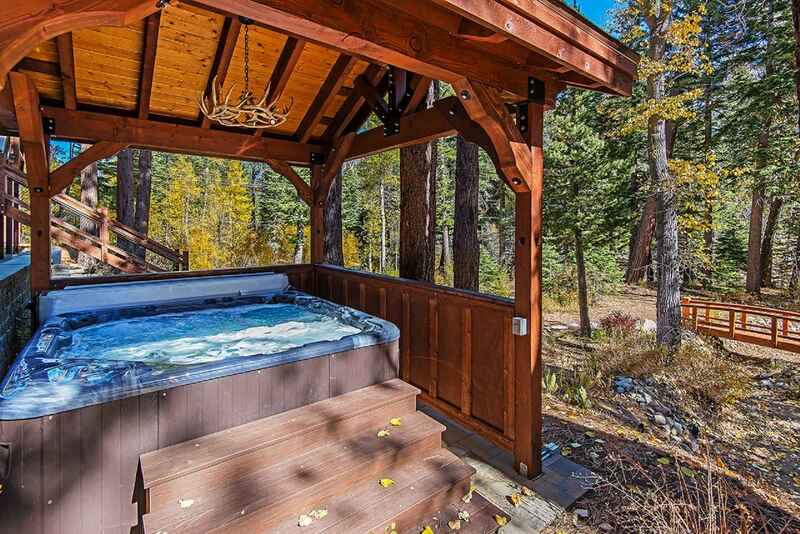 Built in hot tub with covered cabana, soak in the hot tub and the only sounds you will hear are the multiple rivers surrounding the house. 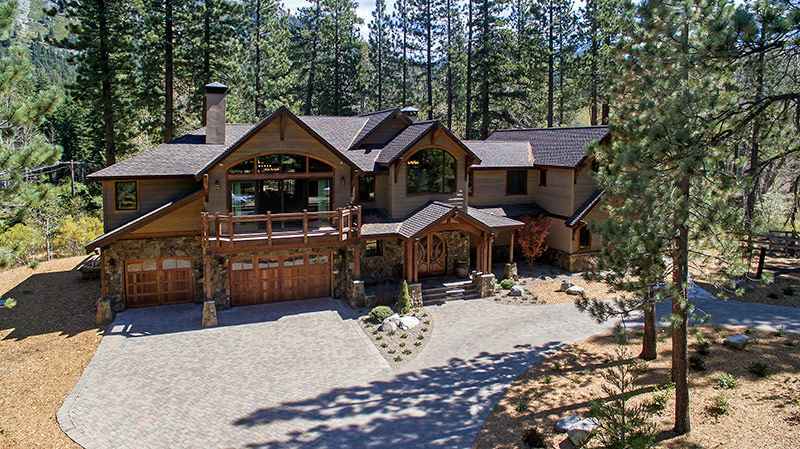 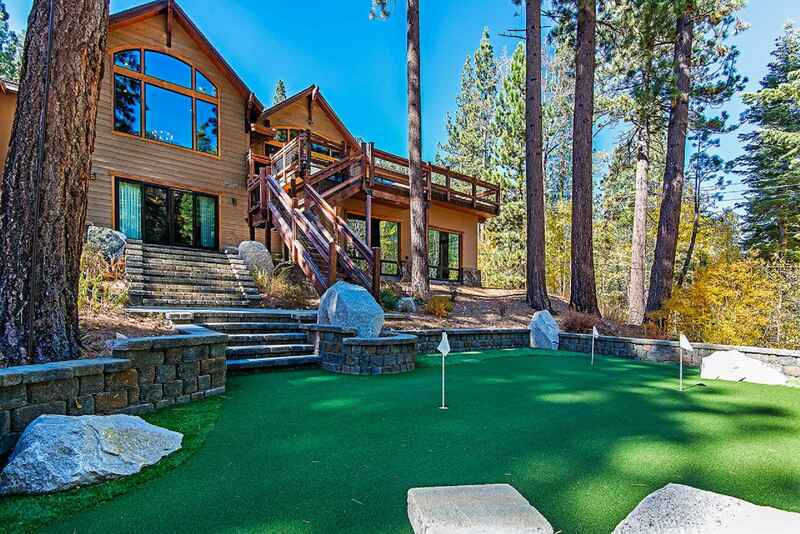 House has tons of privacy as you only see tons of trees, rivers and massive mountains that raise above the house. 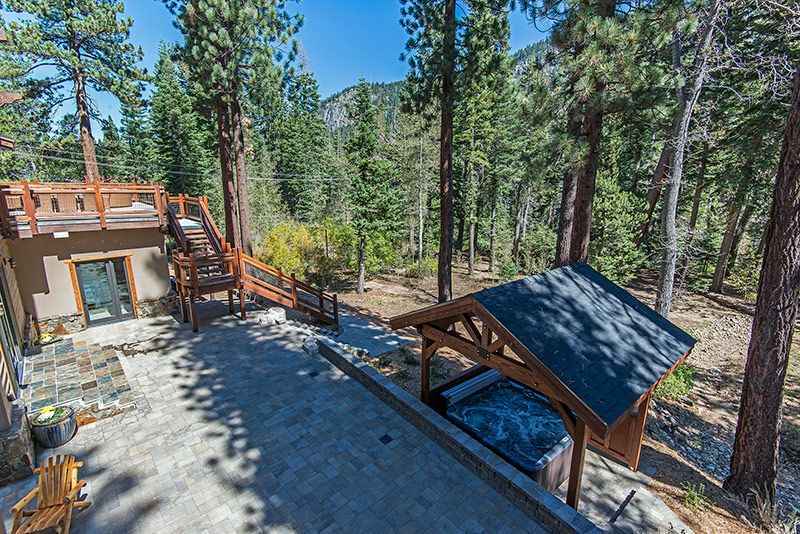 Waterfall can be heard in the winter at the entrance to the property. 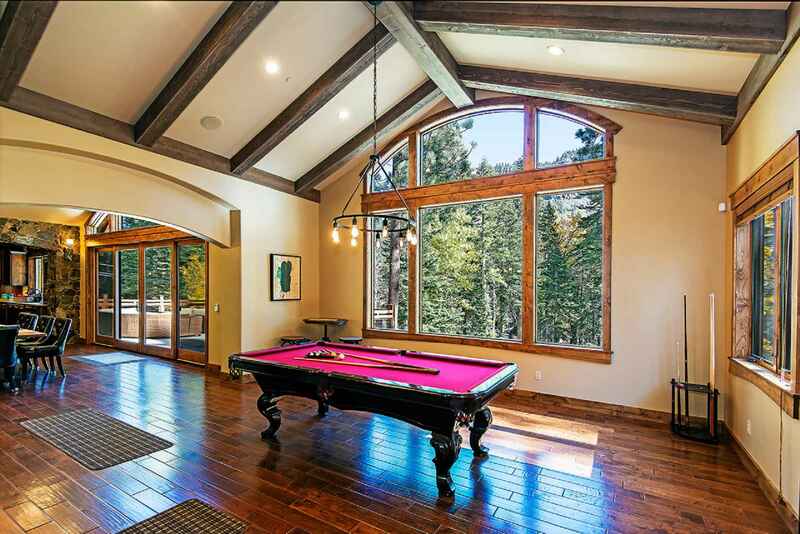 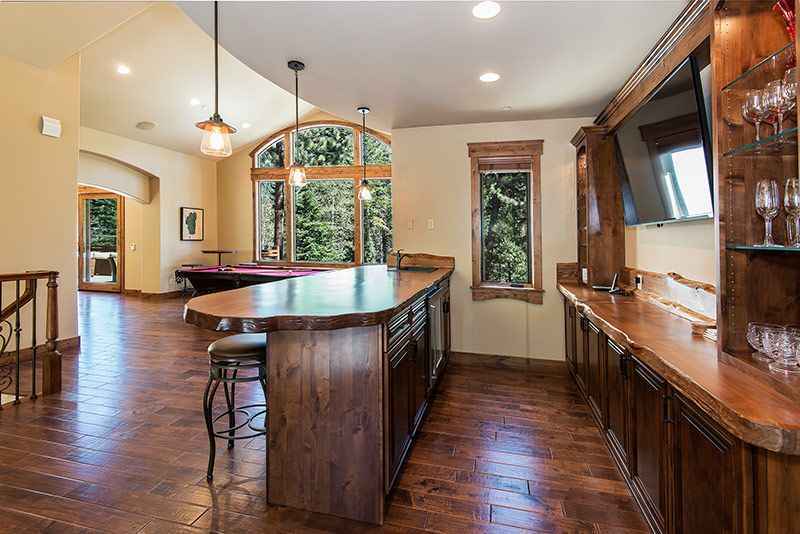 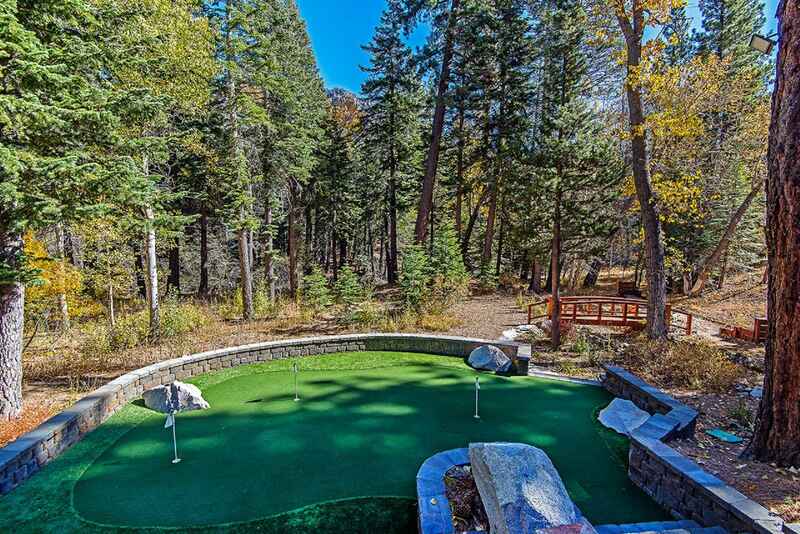 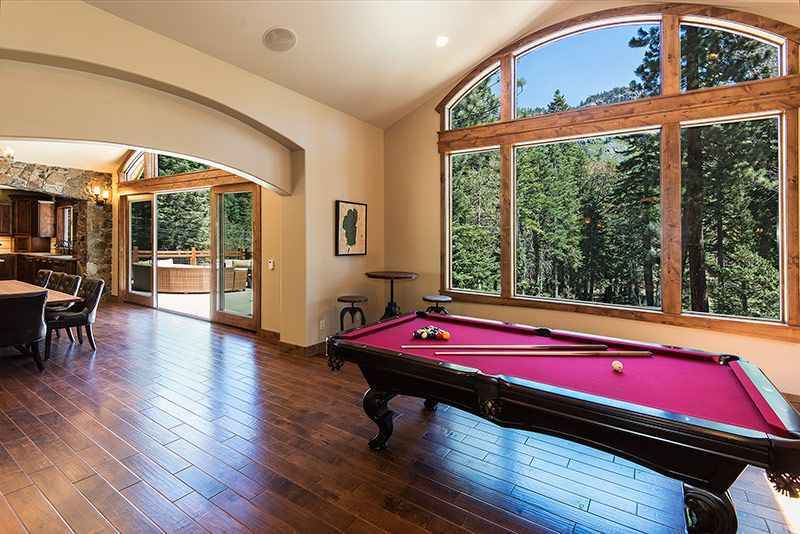 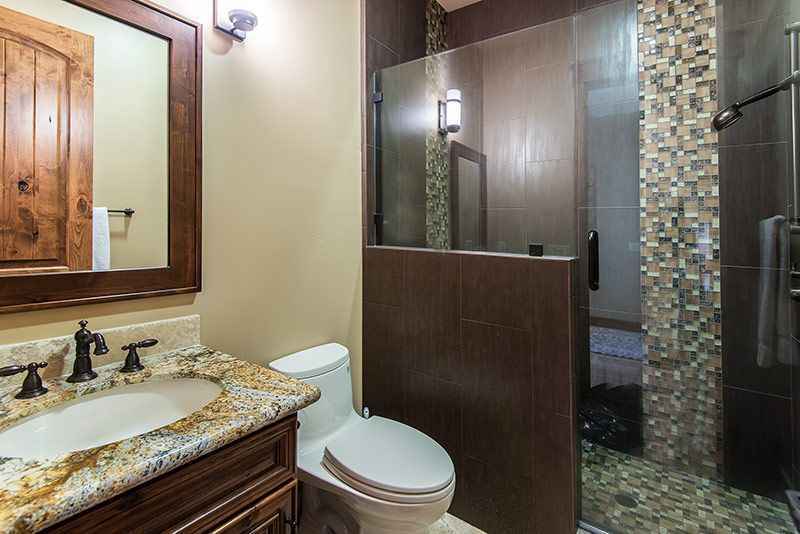 2nd Floor boasts a large open floor plan with Game room Pool table, bar with Flat Screen TV. 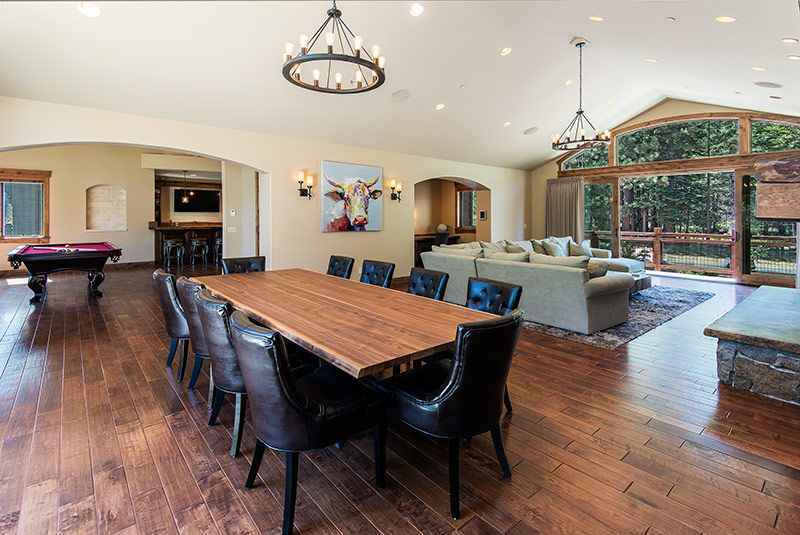 Black Walnut dining table with comfortable dining chairs. 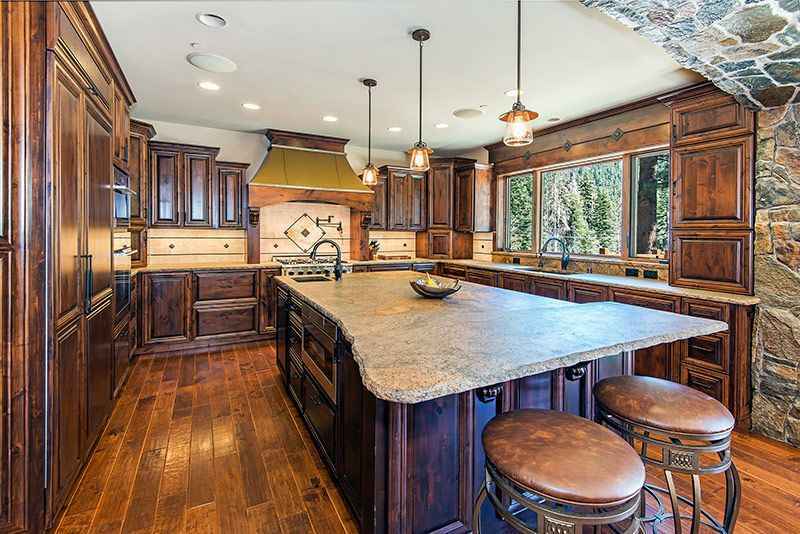 Huge chefs kitchen with enormous Island and everythiing you could want. 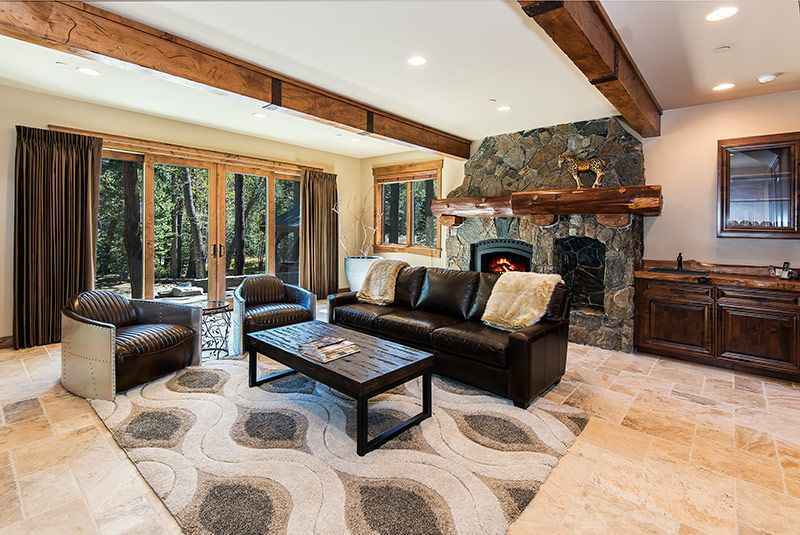 Spacious living room with rock fireplace, huge Flat Screen TV and comfortable sectional sofa. 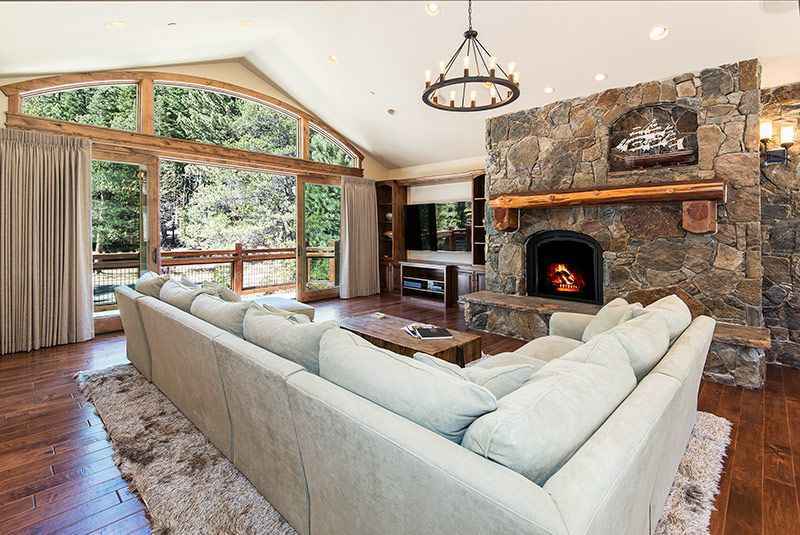 This grand open living room is surrounded by oversized windows that gives that wide open feel. 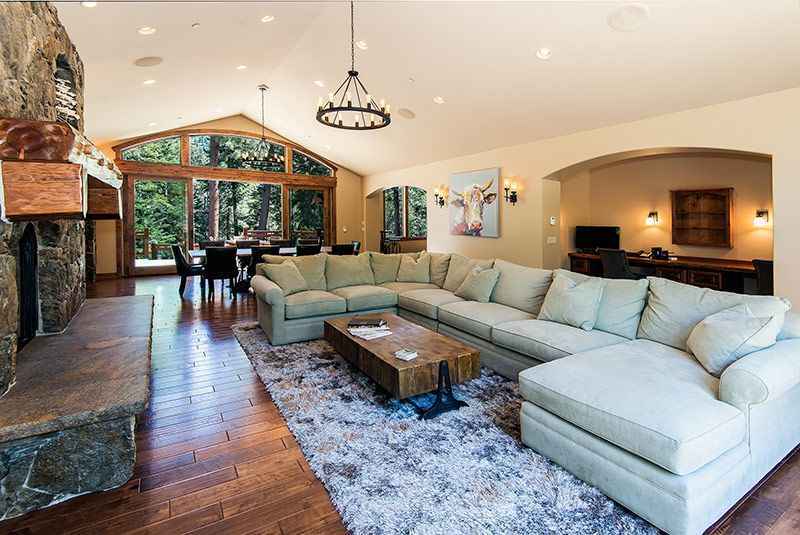 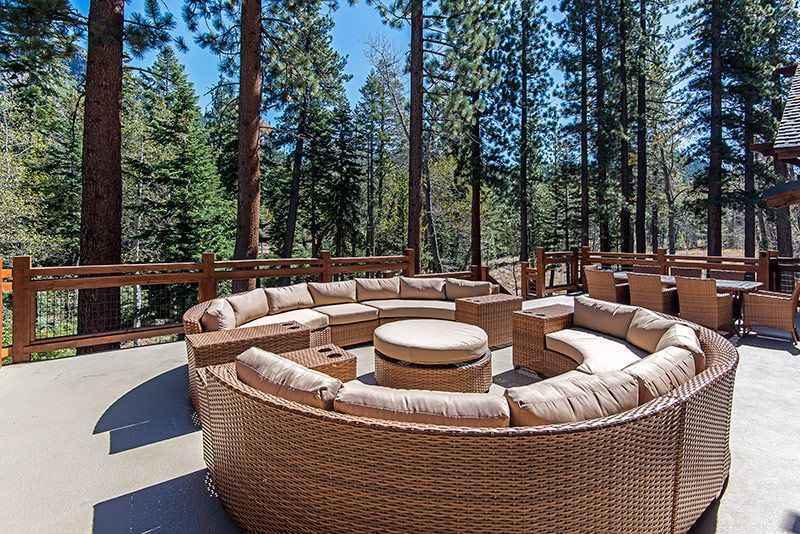 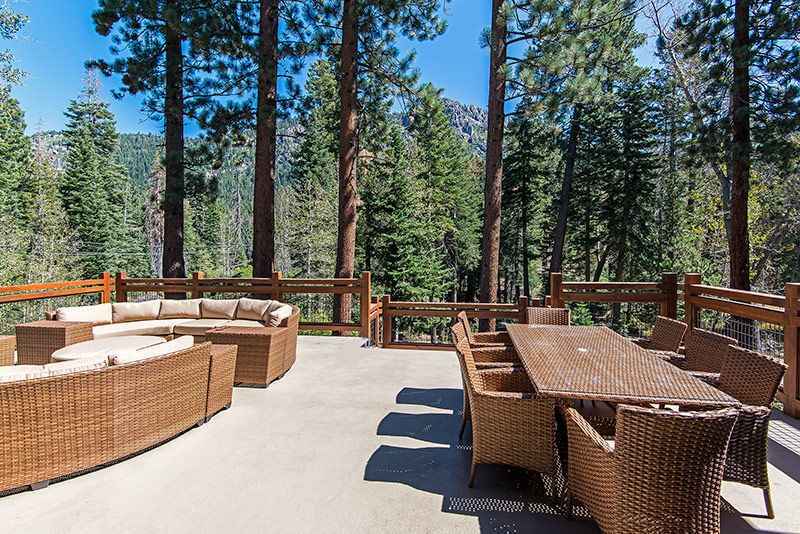 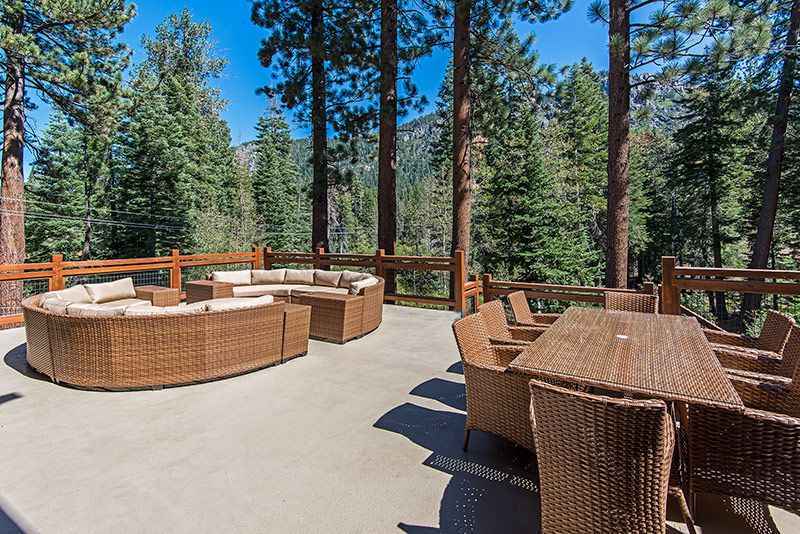 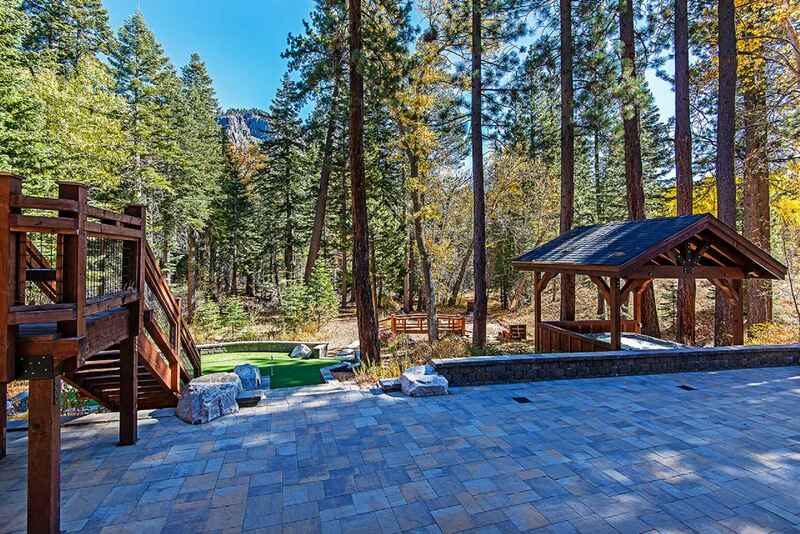 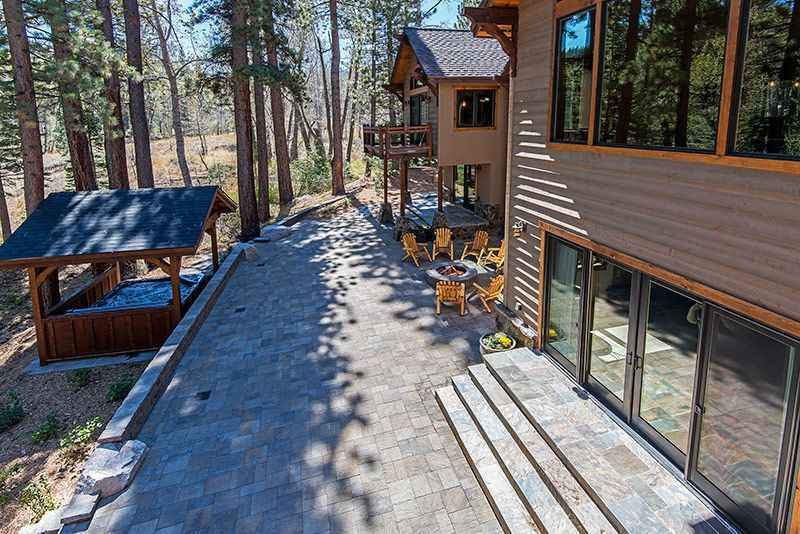 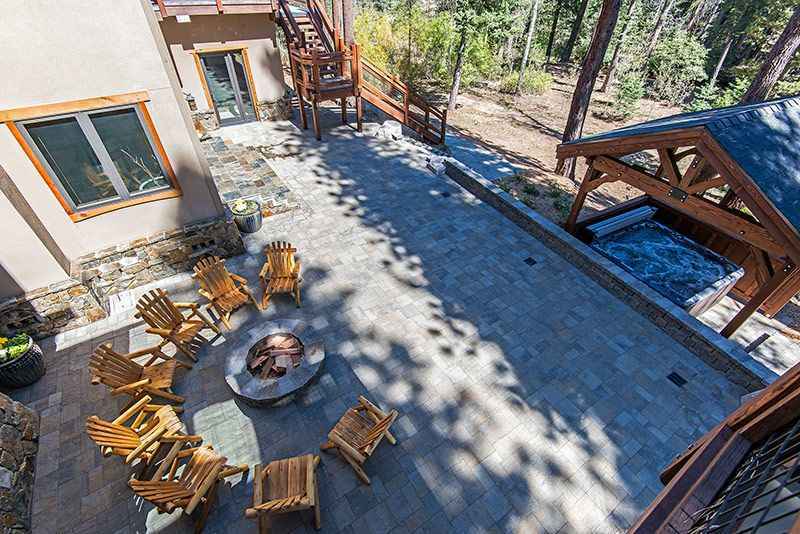 The living room opens up to a large outdoor deck with luxury wicker patio furniture for great conversations to take advantage of those comfortable Tahoe nights. 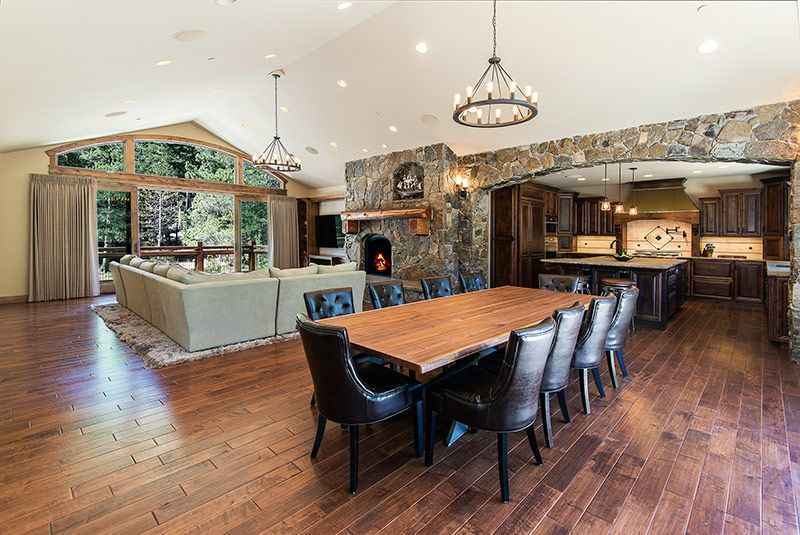 Dining table also adds to the seating capacity and blends perfectly with the luxury patio feel. 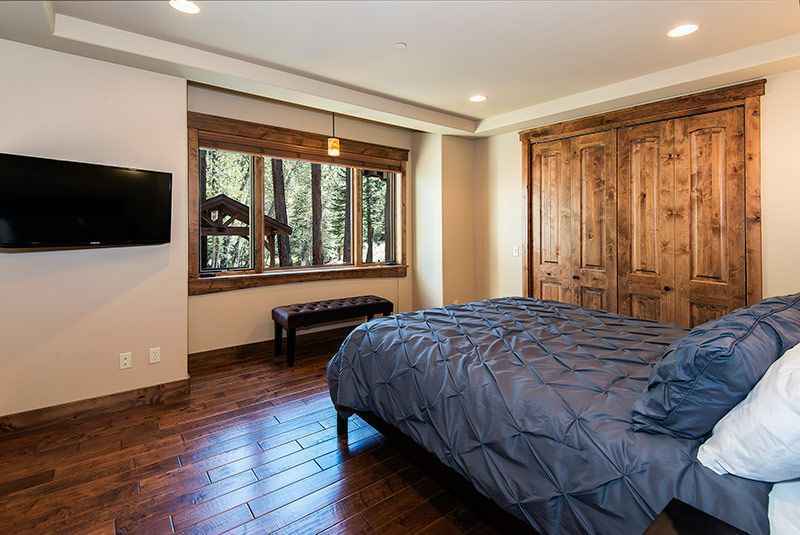 Huge Master suite with private deck, King bed, Flat Screen TV. 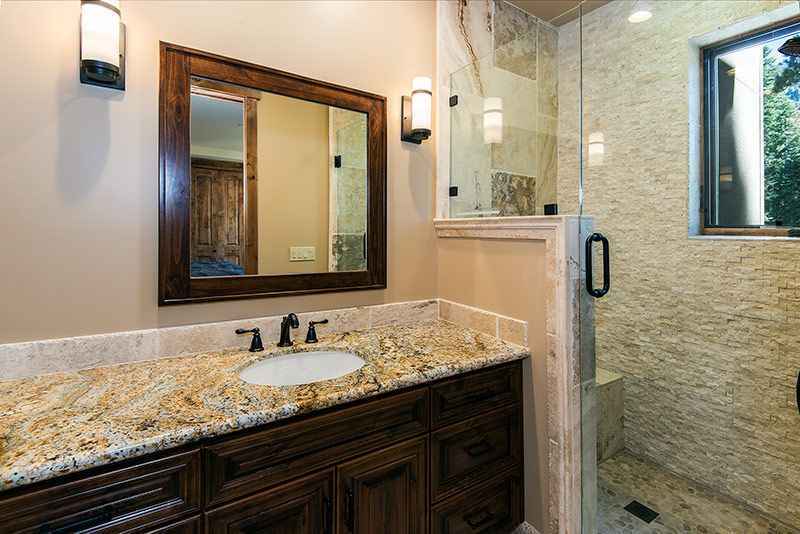 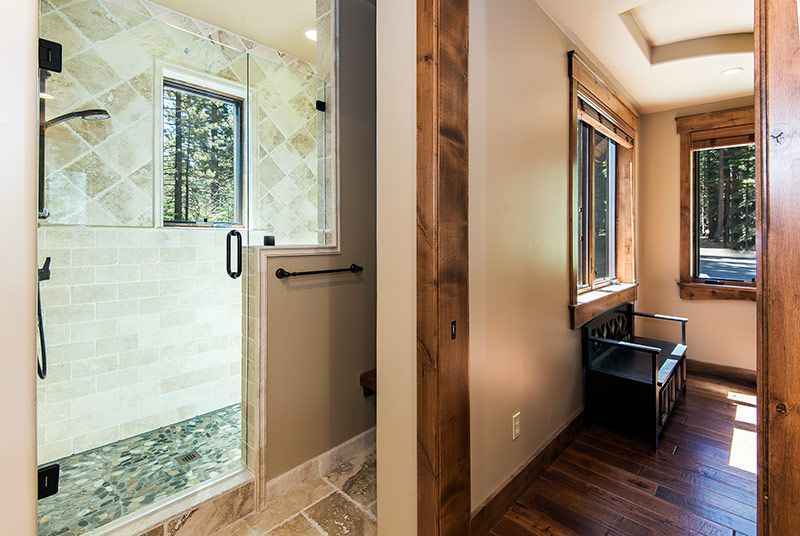 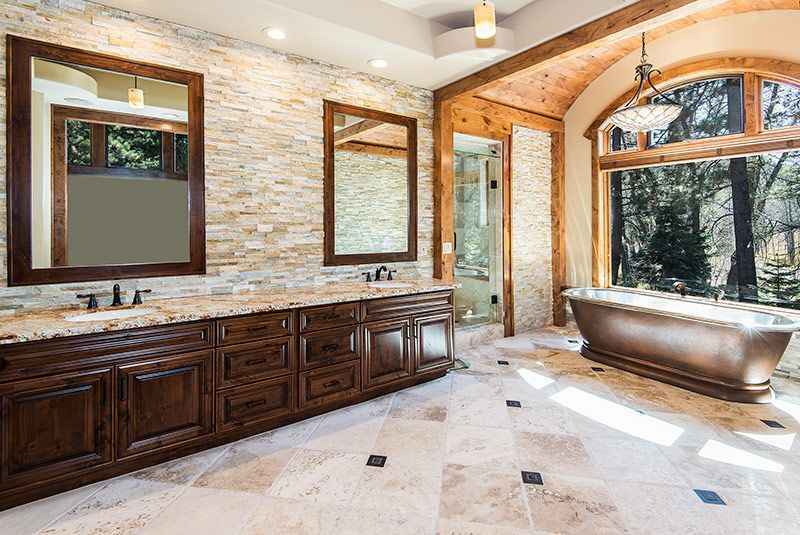 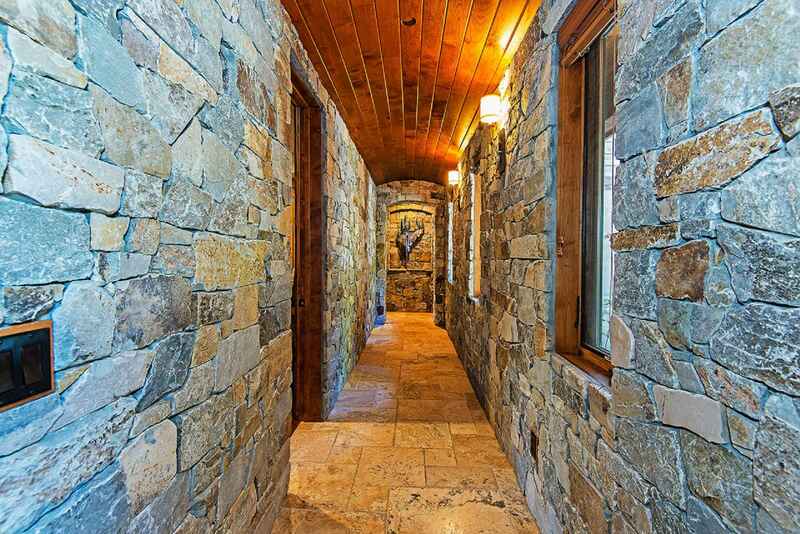 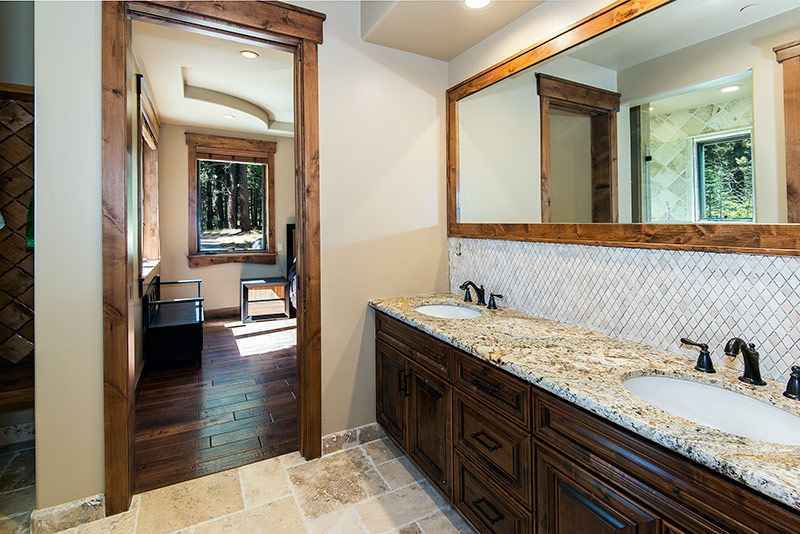 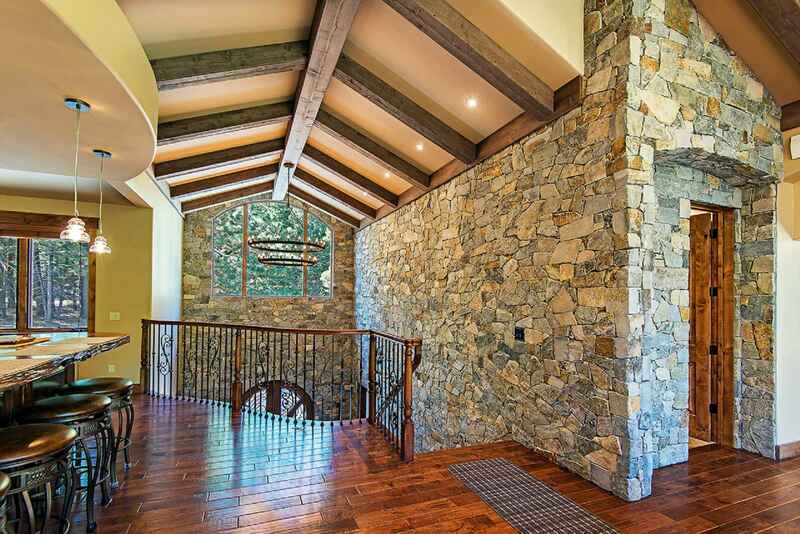 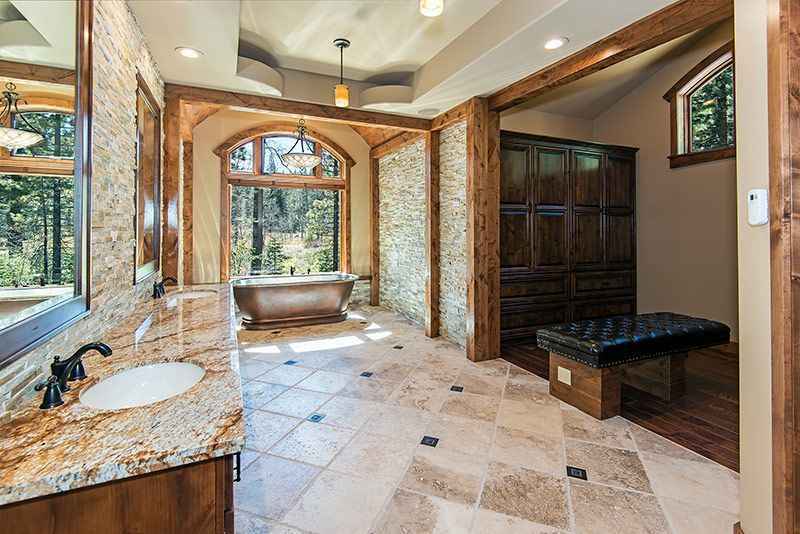 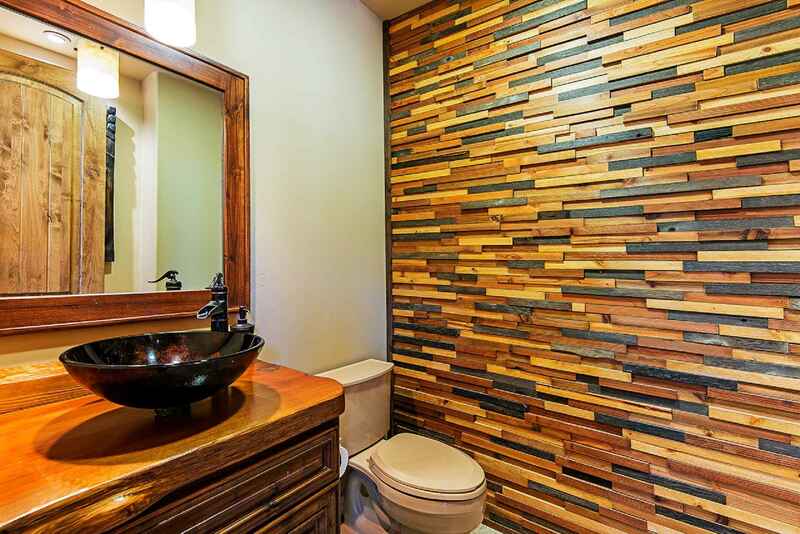 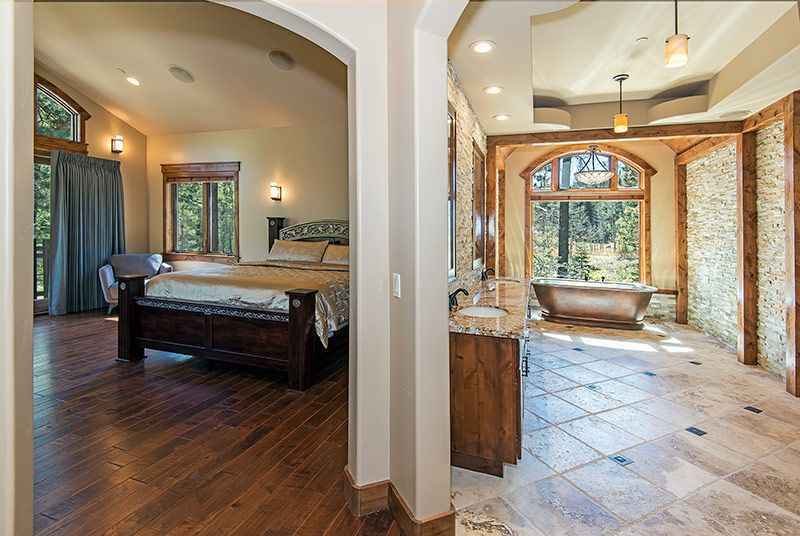 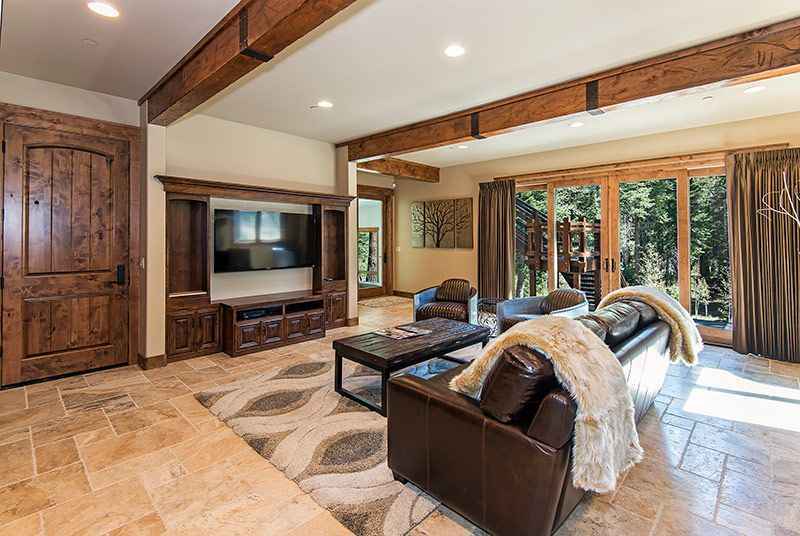 Enormous Master bath with beautiful wood beams and modern rock walls. 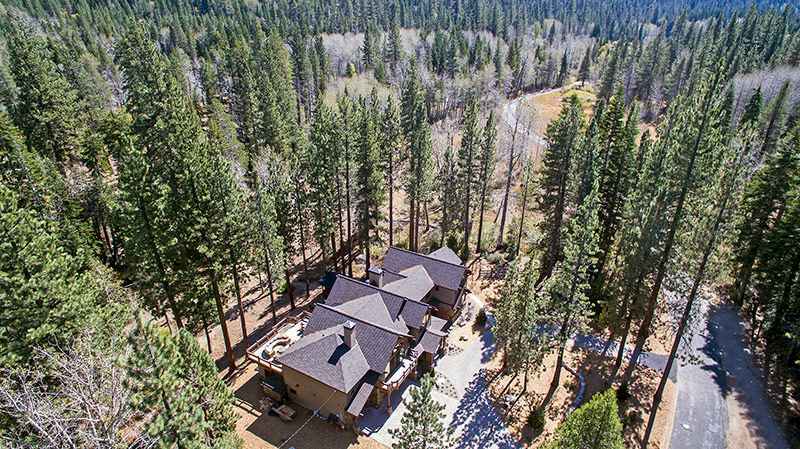 Tons of parking at this huge Estate on 4 acres. 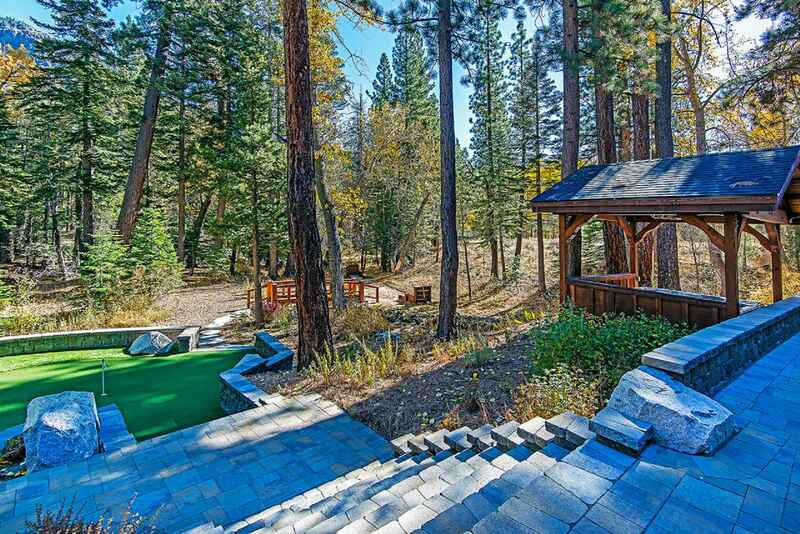 Tons of space in the backyard. 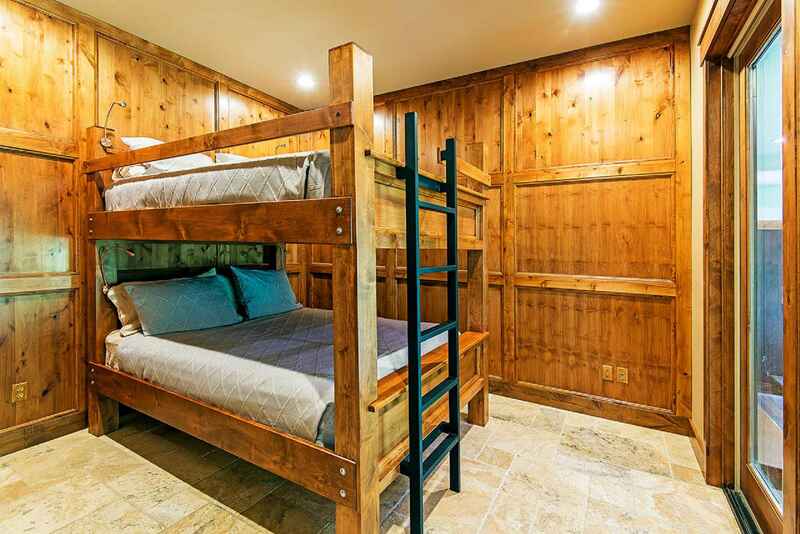 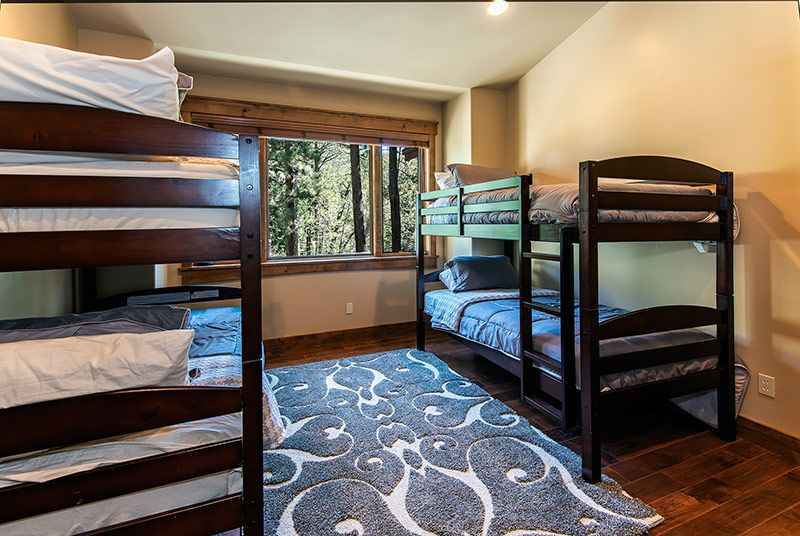 BEDROOM 5 - 2 Twin bunks (so 4 Twin beds total)...Half bath down hall. 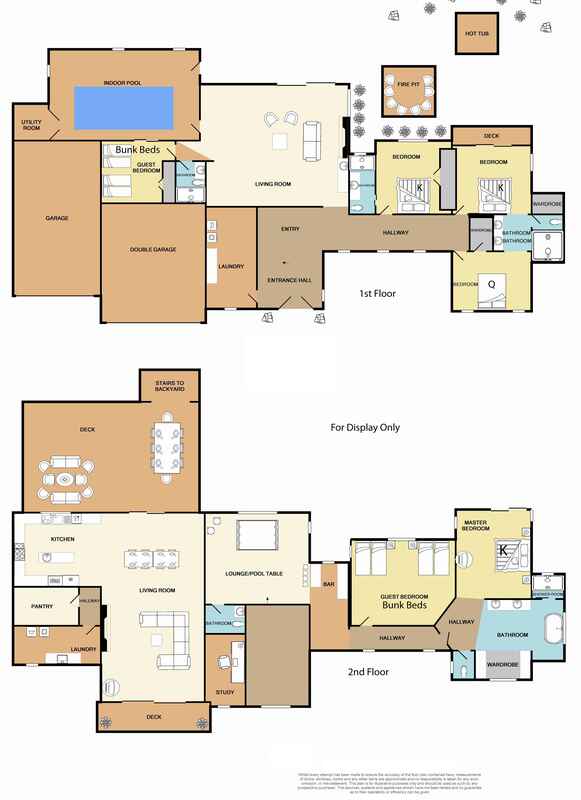 Remaining 50% due 60 days prior to arrival.